Ohio State University, filled with Germanic architecture, some very decent museums, and exciting nightlife. 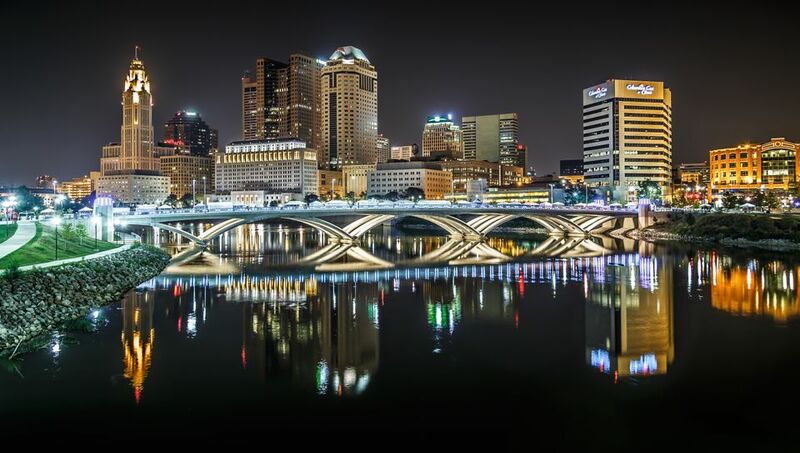 Named for Christopher Columbus (and sporting a replica Santa Maria docked on the Scioto River) the "Arch City" is accessible and welcoming, fun but not ostentatious. a gamble. Winter gets cold and snowy, especially in Northern Ohio near Lake Erie, while summers are hot with highs in the 90s (32). Early spring can also be dicey with clouds, chilly weather and rain. However, by fall, you’ll not only experience warm temperatures, but you’ll get to see the state’s foliage change color. Keep in mind that popular wooded areas like the Hocking Hills can fill up with vacationers at this time of the year. Wonderful shopping at the town center. Roads in Ohio really needs repairing. We love Columbus, it really is filled with hidden treasures- although if you aren't from here it may take a little navigating around to try to find them. Overall we have had several great stays in and around this city. This city really does have something to offer for everyone. This city truly has a piece of my heart. I graduated from Ohio State and I can definitely say that Columbus has everything to offer (even more than just Buckeye football which is such a huge part of the city). German Village, arena district, brewery district are just a few of the fun and cute neighborhoods that anyone can enjoy. I miss living in this city and hope one day to move back but I highly, highly recommend this city to anyone looking for a fun getaway and wanting to see the best fans in the land for incredible football. As the 15th largest city in the US, Columbus offers all of the best parts of a big city without some of the problems (traffic, crime, expensive, etc.) Columbus has become a foodie destination with a whole lot of music, arts, culture and community going on too! Columbus is the capital city of Ohio. it is also home the Columbus Zoo and Motorcycle Hall of Fame Museum. Disability access is provide depending your activity and disability parking various on what location your at. It is also a lodging base location for some the outdoor activities that Ohio has to offered. Nice :) we are here for family vacation AKA christmas .. And it's snowing to give us a white Christmas ..
Columbus had hard times for a bit, but it might be on the rise again. Local businesses are stepping up to clean up the downtown and make it friendly for visitors. It still feels a bit sterile and lifeless though downtown practically clears out at the end of the business day. First stop on our way to Mississippi Riverboat trip. The Columbus Zoo was great. Every animal was in healthy condition. Took a whole day just to see the zoo. Plan two days if bringing kids to waterpark. Grizzly pounded on thick acrylic viewing wall and scared the poop out of me! Nice people working there. Lunch choices plentiful but lines a little hectic. I really liked Columbus, altho it seemed a bit strung out to me. I loved traveling in Ohio and my stay in Columbus was fun and interesting. Never seen so many people that had children and not a mixture of cultures. I am a California girl so we have a large mixture of cultures.